This is my first photo taken using my new Canon EOS! I'll be getting a new lighting set up in my new home so the photos will be a work in progress but I'm so excited about it! 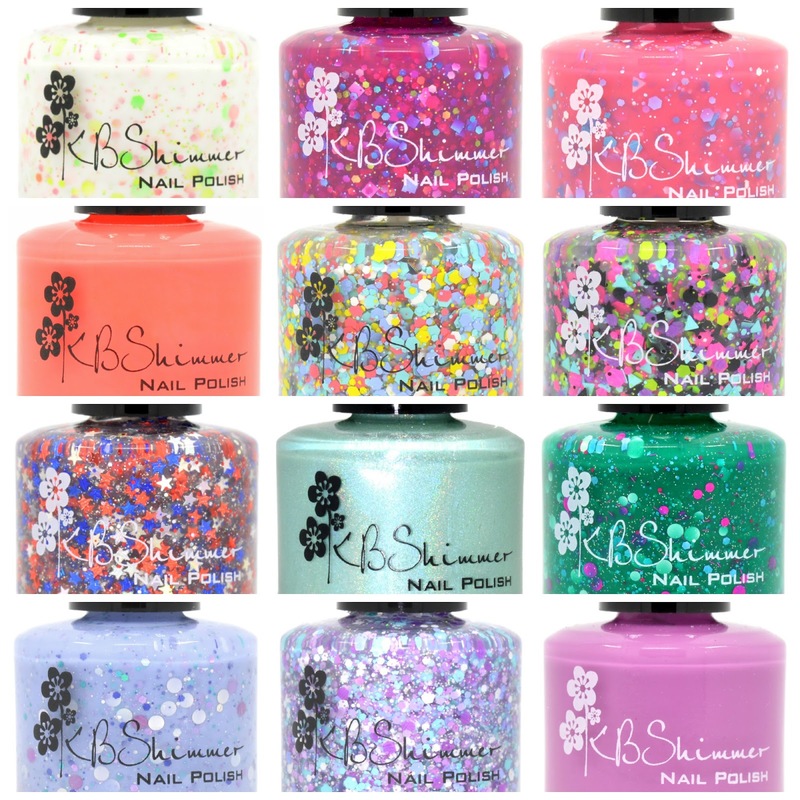 You can see Mint-al Vacation in the center of the 3rd row of this stunning KBShimmer Summer 2014 collection. 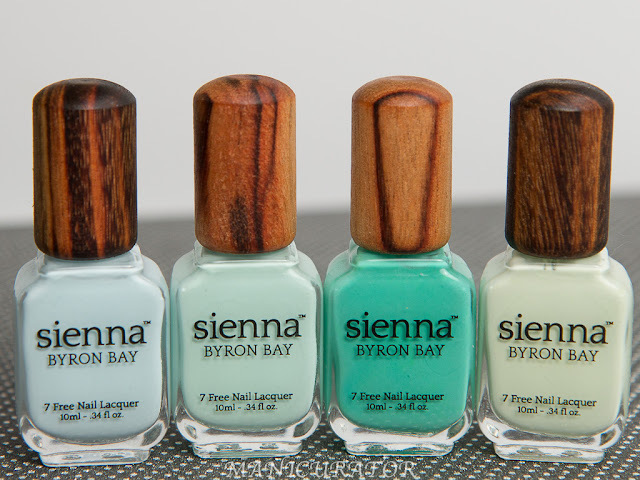 Mint-al Vacation- This light aqua seafoam has two personalities. In low light, is has a beautiful white shimmer, but in the sun or bright light, you can see a holographic rainbow of color. 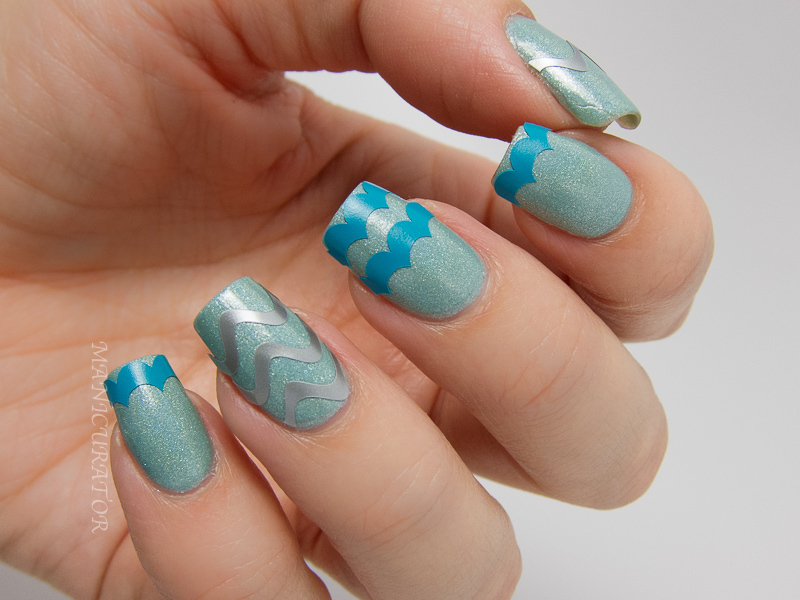 It's super simple to use the nail vinyls as a sticker rather than decals that you then pull off. The only trick is to apply them on dry nails, snip (I used a small craft scissor) off the part that hangs off your nail and DONE. Here's how it looks before top coating. 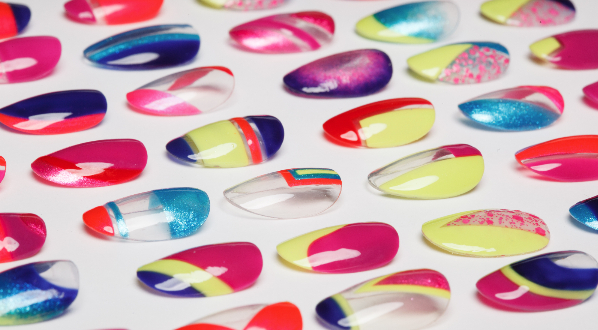 Each nail vinyl sheet includes 110 pieces. These lines are intended to hang over for easy removal, but they can be trimmed and used as a sticker. The final look with KBShimmer Clearly on top as a top coat. *Note - I was knee deep in moving when I applied the first 2 coats of Mint-al Vacation. It lasted extraordinarily well but it wasn't until 6 or so days later when I got a chance to add the nail vinyls so I added another coat of polish. That's why you might notice some difference at the cuticle line from the original swatch photo. 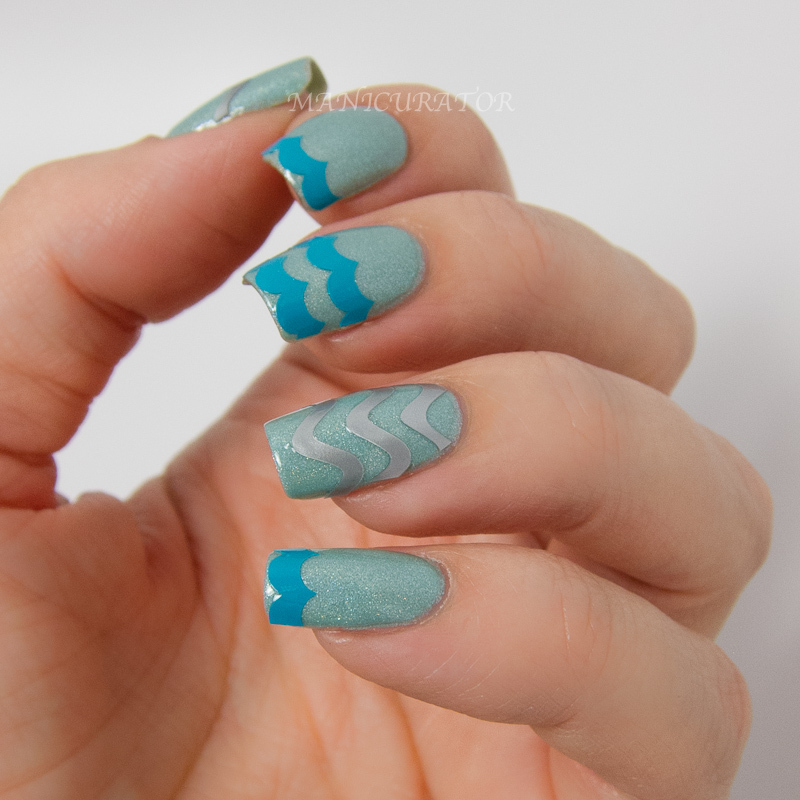 Have you used nail vinyls in this way before? Do you like how it looks? Nail vinyl sheets are $5.00, nail polish $8.75 and will be available at www.HarlowandCo.org and www.KBShimmer.com. It's funny, I opened this post wondering if you'd used your new setup yet! Gorgeous mani as always :) I LOVE how the base color looks on you. The quality of these photos are beautiful, I can't wait to see what you have in store for us in the future! Those are some fun nail vinyls! I love KBShimmer, it's my newest brand obsession! Again, so glad to have you back girl! 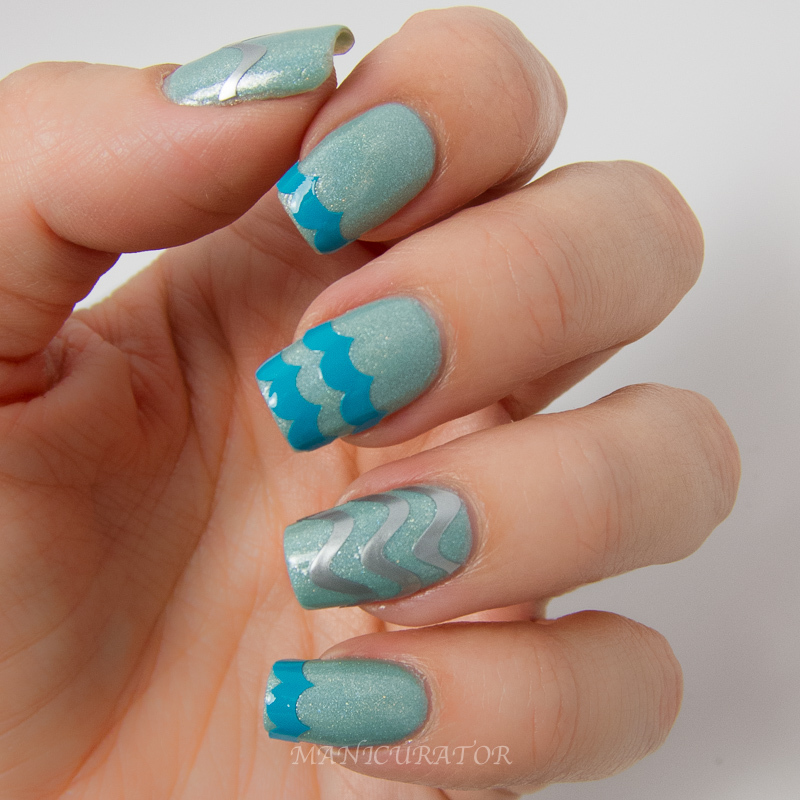 Mint holos are good any time of year - and I need those wavy line nail vynails. So cool! I'm loving those wavy vinyls! I've been thinking about using my vinyls as stickers :)! Looks great! Oh thank you! Same for you Kelli! I'm so impressed with what you are doing! Good timing, too funny! Thanks so much sweetie! If I didn't say before it's so nice to have you back! What a project! And, as always, a beautiful job. I have some of the vinyls and they are super easy. Love the look! Have not used them like this, but I like what you did here! I'm absolutely in love with that polish and really like the design you did too.